Part of being in a community involved talking to the other members. Courtesy and politeness are expected. KDE members use a variety of different venues to communicate, depending on the topic. To report a bug or request a new feature, use bugs.kde.org. The KDE Bugzilla bug tracker is intended for user-to-contributor communication and tracks simple bug reports and feature requests. Sign in with your KDE Bugzilla account; it does not use identity.kde.org credentials. 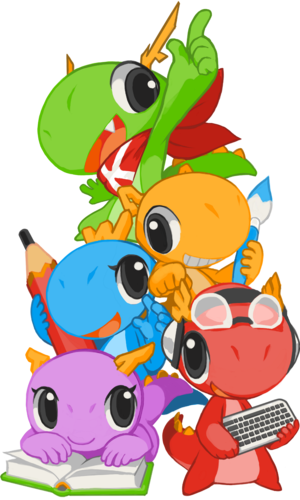 If you don't have a KDE Bugzilla account, sign up for one here. More information about the KDE Bugzilla bug tracker is available here. To track and discuss work, such as offering a patch for review, updating a website, discussing the implementation of a complex feature, or coordinating a promotional campaign, use Phabricator diffs and tasks. Sign into Phabricator with the username and password for your identity.kde.org account; if you don't have one, sign up for one here. Then return to https://phabricator.kde.org, click the "Log In" button at the top of the page, and enter the username and password for your KDE Identity account. More information about Phabricator is available here. To start a short, goal-driven discussion, use Internet Relay Chat or Telegram, depending on your preference. These conversations should ideally result in the generation of a patch, task, or bug report. KDE participates in a variety of external programs to introduce new contributors to KDE, including Google Summer of Code and the Outreach Program for Women. KDE also runs its own programs, such as Season of KDE.